100% of the proceeds from this campaign go to Options Pregnancy Center. Learn more about Options below! Options Pregnancy Center exists to support women and men in unplanned pregnancies and meet them at their point of need at no cost to them. We love them like Jesus, Unconditionally, Confidentially, in a safe environment. Making a Difference … One Life at a Time! Options has 4 locations in Cabot, Beebe, Lonoke, and Jacksonville, Arkansas. Laura, on the right, is wearing a small. 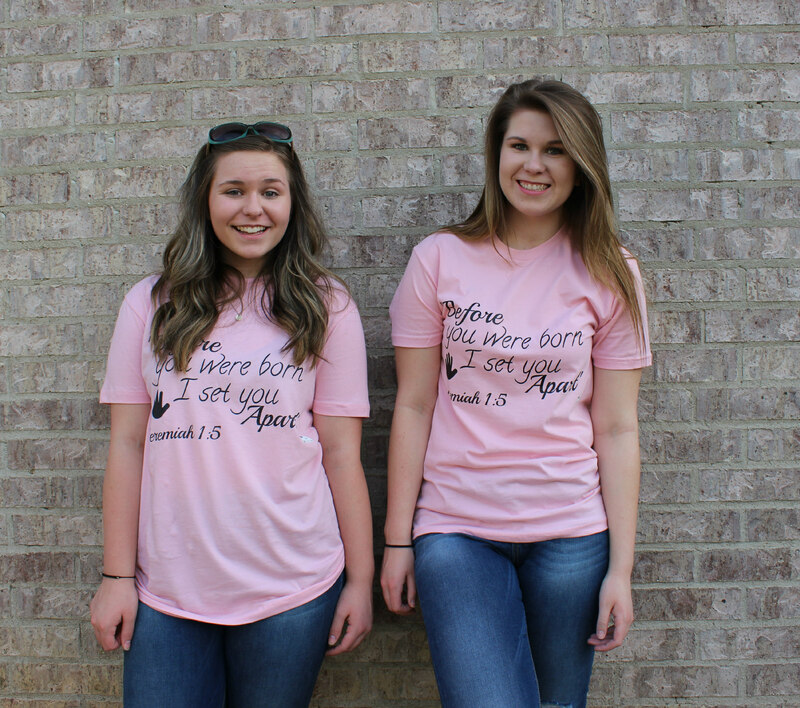 Makenna, on the left, is wearing a medium. 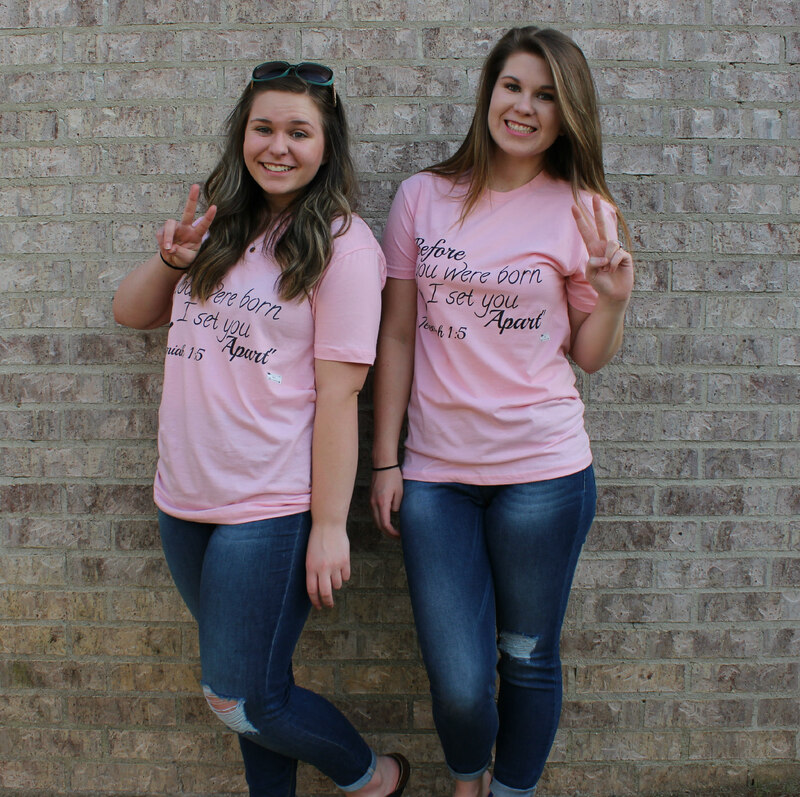 L&M was started by two sisters, Laura and Makenna, whowanted to try something new and start an online t-shirt business. When you support L&M you are also supporting local andnationwide charities and mission projects. L&M t-shirts will include fun and trendy designs alongwith our charity lines where 100% of the proceeds go directly to the charitythat the shirt was designed for. But don’t worry, even when one of our designs doesn’t have aspecific charity, 10% of all profits made will go toward a mission project. 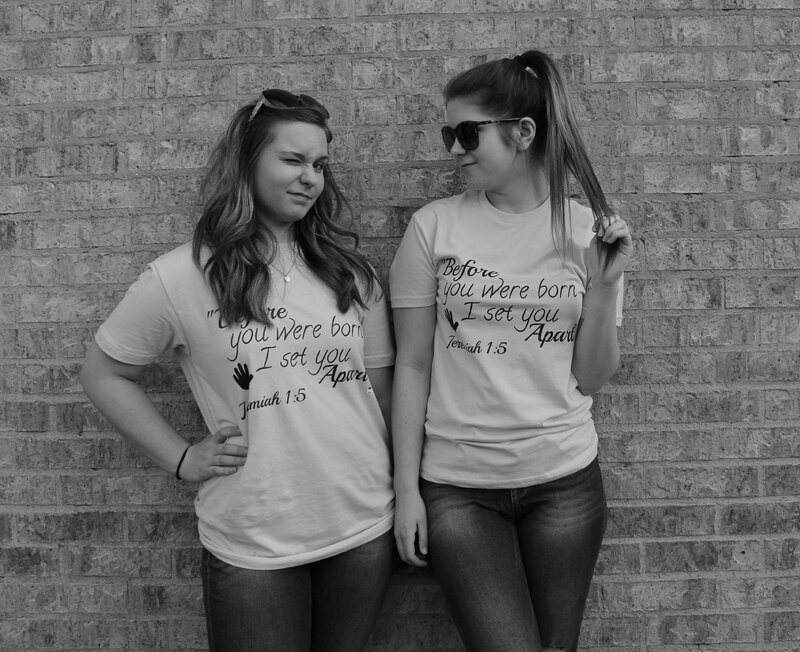 We believe in Fashion with a cause and that we shouldglorify God in all that we do…including T-shirts.